SCC7209 DH Mosquito PR Mk1/ B.Mk.IV Series 1, 1/72nd scale, Merlin 21 short nacelle conversion set for Tamiya with decals. Spitfire Mk. 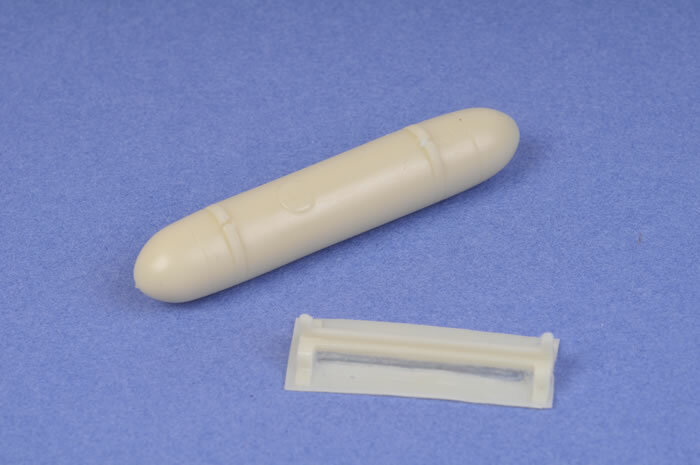 IXe conversion for Airfix 1/72nd scale. 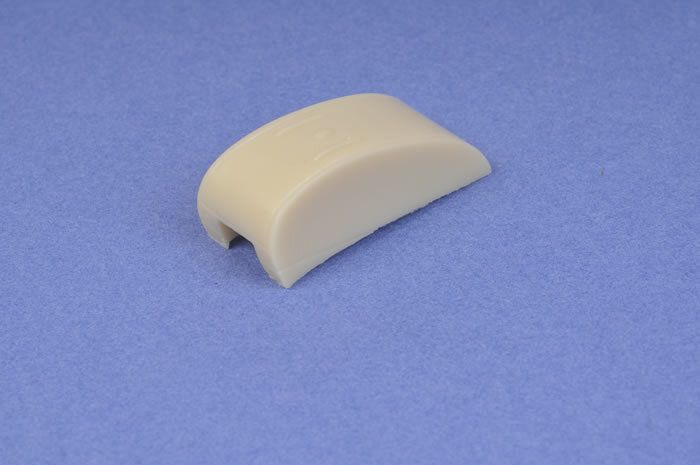 Spitfire pointed rudder for Airfix 1/72nd scale. SCC7211 Spitfire PR.XIX 170 gal. slipper tank 1/72nd scale. SCC4804 Spitfire Mk. IX torpedo shaped drop tank. SCC4803 Spitfire Mk. IX 'E' wing cannon bay panels. In the Mosquito set there are 7 resin parts plus decals for one a/c, an A4 sized instruction sheet all in a crush proof box. 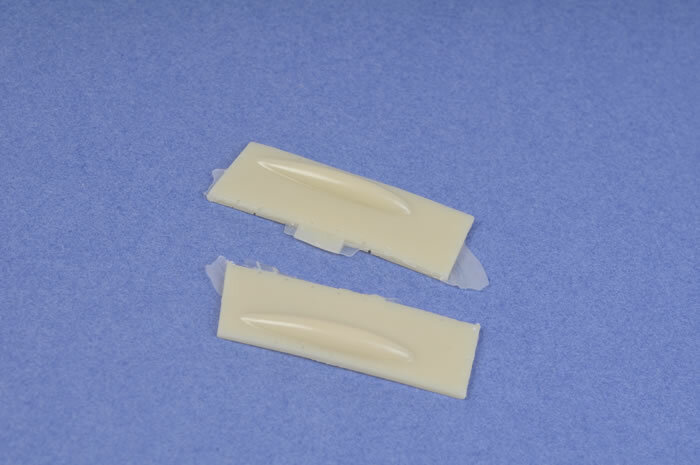 For the rest are the sets, there is the appropriate resin bits in zip-locked bags. Very interesting subjects, excellent resin and decals. 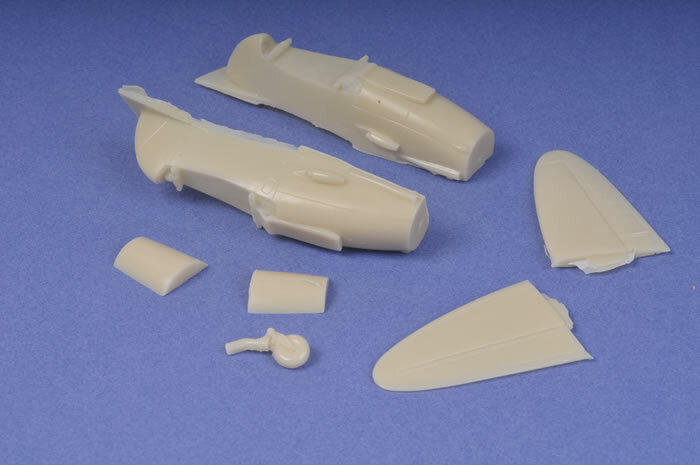 SCC7209, the Mosquito conversion has 7 very nicely cast resin bits to convert the Tamiya B. Mk. IV mosquito into an PR 1 or B.Mk. IV Series 1. Both of these a/c had short nacelles that didn't extend beyond the wing trailing edge and short span tail planes and for the B.Mk. IV there is also a set of decals for an a/c from 105 Squadron in May 1942. No Pt. No., the Spitfire Mk. IXe conversion for the Airfix kit. This consists of a pointed rudder, two cannon barrels and two machine gun barrels all in resin. No Pt. No., a pointed rudder for the Airfix Spitfire Mk. IX in resin. SCC7211, a Spitfire PR.XIX 170 gallon slipper tank. SCC4803, two Spitfire Mk IXe wing cannon bay panels. SCC4804, a Spitfire Mk. IX torpedo shaped drop tank with a mount. All parts are well cast in resin with no flash, pin wholes or warpage, all bar two have part numbers, all bar one have labels and all are in zip-locked bags. 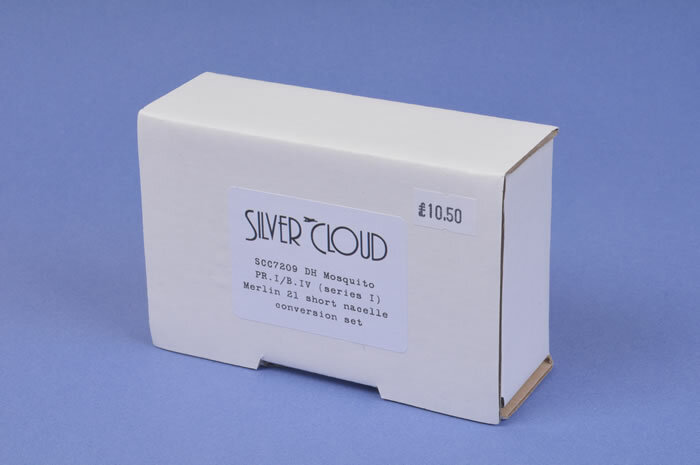 While the Tamiya Mosquito conversion is comprehensive with decals, instructions and is fairly expensive, the others provide the basic parts and are reasonably inexpensive.